Australia is a unique country, in terms of climate, geography, history and culture. This makes it very popular among people that are searching for adventure. But, before you travel – for studying, working or just visiting the country – you must consider the visa requirements. You could also check the website of the Australian Government to get the complete information. Nearly everyone needs a Visa before going to Australia. Only New Zealand citizens can apply for it upon arrival in the country. To know which Visa you need you can use the Visa finder or ask for information at your nearest Australian Embassy or Consulate. In general, you need a Visa for visiting the country, for working or for studying. The eVisitor Visa is a free visa which allows you to visit Australia for up to three months (in a 12-month period). Here you get more information: eVisitor. With a Visitor Visa, you are allowed to visit the country for up to three, six or twelve months. Here you get more information: Visitor Visa. The Work and Holiday Visa is a particular Visa type for young persons who want to stay in Australia for up to a year. Here you get more information: Working Holiday Visa. 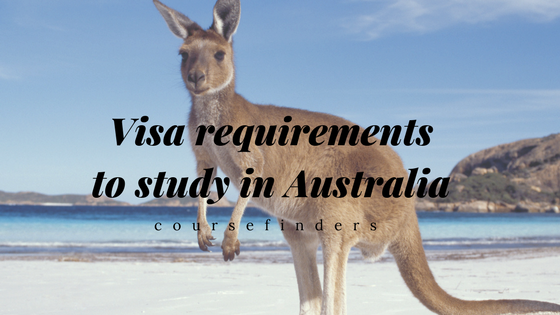 There are different possibilities if you want to study in Australia. Here you get more information: Student Visa. Up to five years you could stay in Australia as the guardian of an international student (younger than 18 years) who studies in Australia on a Student Visa. Here you get more information: Student Guardian Visa. With a Training Visa, you are allowed to take part in a professional development training program or workplace-based training in the country. usually be at least 18 years old. Furthermore, this Visa allows you a stay up to two years. Here you get more information: Training Visa. The Temporary Graduate Visa is for international students who have finished an Australian educational institution and who want to live, study or work temporarily in the country. In addition, there are two streams depending on the length of your stay: Graduate Work stream (18 months) and Post-Study Work stream (two to four years). meet additional requirements of the relevant stream. Here you get more information: Temporary Graduate Visa. If you want to apply for a Visa, you could do it online.